Doral Lakefront Modern home. Gorgeous living, dining and open plan kitchen areas that will amaze you! Luxurious finishing for quality lifestyle. Top of the line stainless steel appliances include a wine cooler. Dazzling white cabinetry, matches the white quartz counter top, and waterfall island. High ceilings, wooden steps staircase. Very attractive view of the swimming pool and lake. Master bedroom with balcony, walk in closets, duo sink vanity, bidet, shower, and bathtub. You MUST SEE IT! A PRICE ON PRICELESS! You will love the quality of this CBS 3,823 sq. ft. 3 or 4BR/3BA home with metal Spanish barrel tile roof, three vehicle garage and open formal entry porch. Enjoy the views from the spacious riverside lanai with pool and spa/jacuzzi with rock waterfall. The covered dock boasts lifts for your ski/fishing boat and two jet ski lifts. Designed for entertaining, a butler?? ?s pantry with wet bar, a separate laundry room, a breakfast nook, and huge family room with stack-stone fireplace. OPULENT HOME AT THE RIDGES, 5 BEDROOMS AND 4 BATHROOMS PLUS DEN PLUS OFFICE. PRIVATE PATIO WITH NO NEIGHBORS IN THE BACK, MARBLE FLOORS INCLUDING BATHROOM WALLS. A MUST SEE. WONDERFUL PROPERTY IN DESIRED LAS RAMBLAS COUNTRY CLUB. Gated Community. This property has excellent location. New construction and barely used. Property features Tile Floors in the first floor and carpet in all bedrooms. Wood floor in stairs and second floor corridor. Beautiful interior design in an open space, with high ceiling touch. Crown molding throughout the house makes it special. All these features sit in a rare 11,833 Sqf Premium lot. Sprinklers has been installed in all garden. Must See! Exquisite 5 bed, 3.5 bath corner lot executive home in Hibbs Grove. Hardwoods throughout. Separate living room, dining room, office/den, family room. Kitchen with SS appliances, granite counters, breakfast bar. Bright/open master bedroom. Master bath with double sinks, separate tub and shower. Custom closets in bedrooms. South Florida outdoor living at its finest. Private backyard with inground pool that overlooks the lake. Covered patio with pavers. 3 car attached garage. GREAT UPGRADED 4 BEDROOMS, 3 BATHS HOUSE ...1989 CONSTRUCTION......CORNER HOUSE BEHIND GUARD GATE WITH OPEN SAPCIOUS LIVING AREAS.....NEW CERAMIC FLOORS...NEW BATHROOMS....NEW IMPACT WINDOWS...BUILT IN 1989....2 CAR GARAGE....LOTS OF CLOSET SPACE...BEAUTIFULL GREEN AREAS....BEST HOUSE IN THE AREA...EASY TO SHOW, OWNER MOTIVATED. GREAT OPPORTUNITY TO LIVE IN THE AMAZING NORTH BAY ISLAND, NORTH BAY VILLAGE. 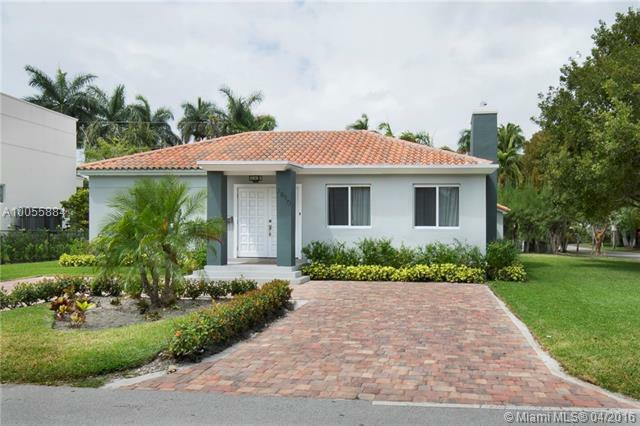 GORGEOUS HOME IN THE BEST GUARD-GATED COMMUNITY, TOTALLY REMODELED, CORNER LOT 8,000 SQF, OPEN FLOOR CONCEPT, MODERN FINISHES, SPANISH CERAMIC FLOORS , STAINLESS STEEL APPLIANCES, NEW WALLS, PLUMBING, ROOF ELECTRICAL & IMPACT DOORS AND WINDOWS. FURNITURE NOT INCLUDED.